The consent order form informs a person about the possible risks for which purpose he is going to give his consent. This consent form varies in nature according to the purposes. It gives the details about a specific activity regarding its risks and benefits. The consenter needs to clarify his/her idea about the reason of seeking permission before signing any documents. 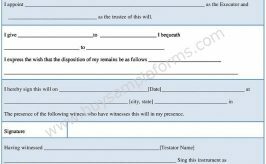 This type of form carries information about the personal details of the consenter. This is very common in hospitals, clinics, travel agency and many other fields. 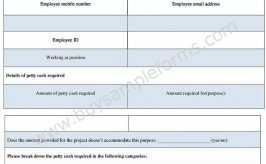 The form should carry the information regarding the terms and condition of the purposes. Below a sample of the consent order form is provided. If you want, you can download the form in both PDF and word file as per your use. Make necessary changes in the format of the form according to your use, and then go for a print. A Child travel consent form is necessary when a child makes a journey with someone other than the parent. An abortion consent form is required when a woman decides for the abortion due to the complication of her pregnancy. The school trip consent form is a document seeking permission from the parents about their kids’ participation on a school trip. Psychology consent form is needed while performing any kind of research on the human as a part of a survey or an examination. The psychological research consent form is an important document for conducting a specific research as to seek consent form a participant who willingly takes part in this research program. Photography consent form is produced when one uses photography of another person for a particular reason. The patient consent form is presented when a patient’s consent is necessary for conducting a particular medical surgery on him/her. The participant consent form is a necessary document before starting any event. Parental consent form is needed where the parents’ permission is necessary about the custody of their children for a certain period of time. An oral surgical consent form is produced when any kind of oral surgical procedure is conducted. The Operation consent form is given prior to any medical surgery in order to seek the patient’s consent regarding the medical process that he/she is undergoing. A medical research consent form is produced before performing any research that needs human subject. An instructor consent form is necessary when an instructor’s consent is needed to perform any program. A generic medical consent form is made to seek the consent of the participants regarding an activity that can be dangerous for their health. The free consent form is meant to seek consent from one party that allows performing a certain activity of another person. A field trip consent form is needed for seeking consent form the parents about their kids’ school trip. A dental consent form is presented before starting any dental surgery in terms of seeking consent from the patient about the medical process that he will be undergoing. A credit check consent form is needed when one wants to check credit details to the respected accounting department. The consumer consent form is produced for seeking consent from the consumer about the certain product and services. A Confidentiality consent form is seeking consent of a person regarding maintaining confidentiality of a specific action. A Child guardian consent form is required in order to confer the guardianship of a child to an individual with maintaining a strict guideline. A Babysitter consent form is required for caring child in the absence of the parent. This consent form allows a child care provider to look after the child.